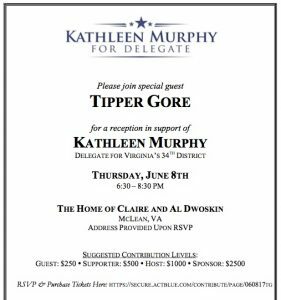 Gore's appearance at the June 8 event will be in support of Kathleen Murphy, a candidate for Virginia's House of Delegates. The event will take place at the Dwoskins' McLean mansion. The Dwoskins, who have a history of supporting the political ambitions of Bill and Hillary Clinton, have claimed through their family foundation that there may be links between increased cases of reported autism and childhood vaccinations. The Dwoskin Family Foundation once claimed "gaps in the knowledge about the biological and genetic risk factors for vaccine induced brain and immune dysfunction," according to The Daily Beast. Writing about the couple's so-called charitable work, the Beast said, "In other words, they’re vaccination skeptics. And the foundation is just one in a series of anti-vaxx projects that the wealthy couple bankrolls." The news site, writing in 2014, went on to claim that "the websites of their various foundations contain information that has been debunked or unsubstantiated." In particular, the Dwoskins' foundation has claimed that the aluminum in vaccines could be linked to vaccines and has supported other so-called charitable endeavors that claim vaccines contain toxic ingredients like "aluminum adjuvants, polysorbate 80 and Thimerosal." Scientists have debunked these unsubstantiated claims. 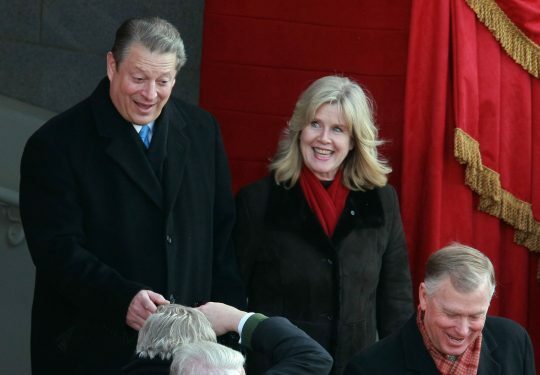 Tipper Gore's ex-husband, Al, served two terms as vice president during the Bill Clinton presidency. An inquiry placed through Gore's website, which is currently devoted to the former second lady's art projects, went unanswered. The pair separated shortly after the former VP was accused of sexually assaulting multiple massage therapists. Cost to attend the Democratic fundraiser, according to the invitation, will run supporters between $250 and $2,500. Al Dwoskin in the president and CEO of his own real estate development and management firm, A.J. Dwoskin & Associates, Inc. He did not immediately respond to a request for comment. This entry was posted in Politics and tagged Anti-Vaxxers, Democrats, Tipper Gore, Virginia. Bookmark the permalink.